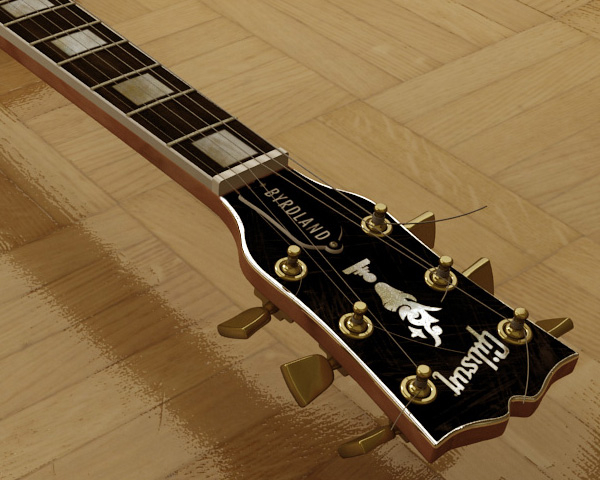 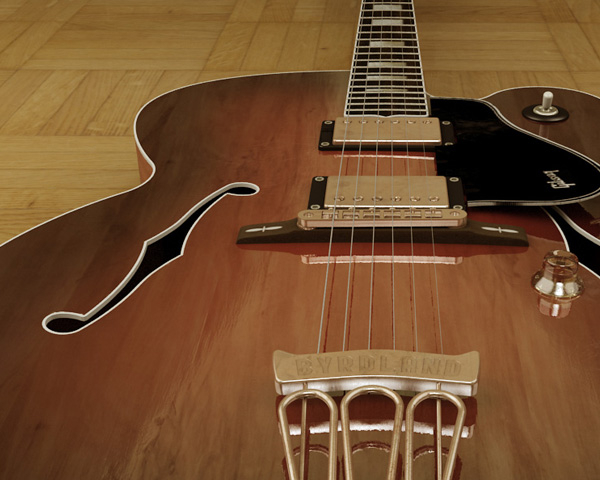 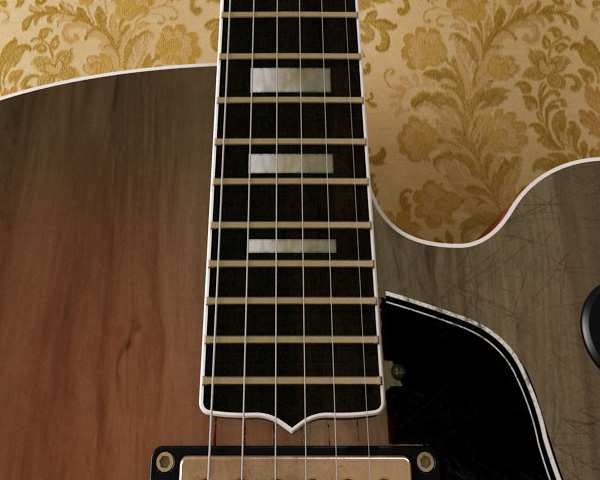 A 3D model of a 1950′s Gibson Byrdland. 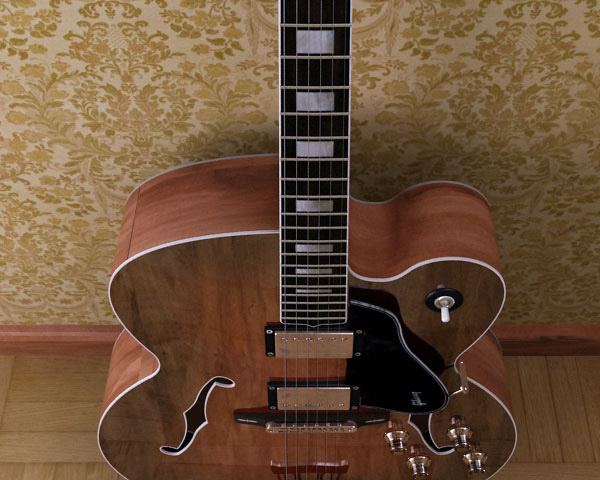 I’ve always been a fan of semi hollow-body guitars. 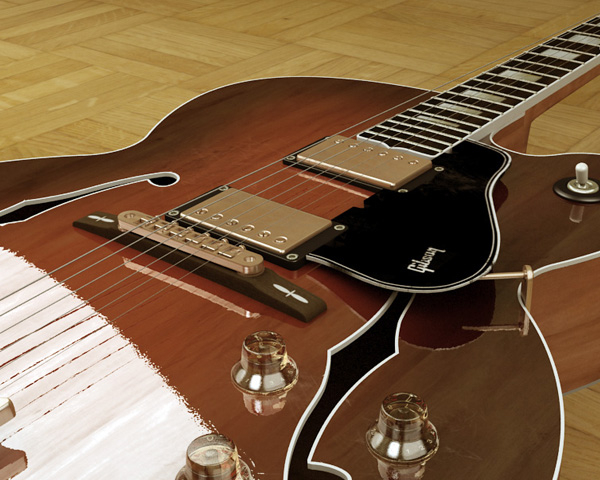 I used a combination of spline and polygon modeling for this.